Marvin Meadows, 87, Clayhole passed away Friday, February 8, at the Wells Hospice Care Center in Hazard. He was a retired teacher and a member of the Hull Presbyterian Church in Hazard. He was the son of the late Joe and Nannie Stidham Meadows. He was also preceded in death by one son, Chuck Meadows; two brothers, Eugene Meadows, Lewis Meadows. 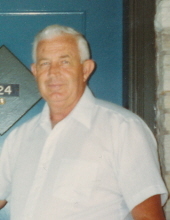 He is survived by his wife, Edith Meadows; one son, Tony Meadows; two daughters, Sandy Meadows, Teresa Meadows; five grandchildren, Shana(Adam) Clary, Tasha(Mike) Bowlin, Keesha Watts, Tyler Meadows, Nathaniel Meadows; four great grandchildren, Ella Bowlin, Brody Bowlin, Landon Clary, Raelee Clary. Visitation, Saturday, February 9, 6PM. Funeral , Sunday, February 10, 11AM with Rev. Arlie Lee officiating. Burial in the McIntosh Cemetery at Clayhole. To send flowers or a remembrance gift to the family of Marvin Meadows, please visit our Tribute Store. "Email Address" would like to share the life celebration of Marvin Meadows. Click on the "link" to go to share a favorite memory or leave a condolence message for the family.